Wonder of wonders, my office is really and truly ALMOST clean! I’m SO close! Seriously! I mean it! The shelves are full and neatly organized. Boxes of stuff are filed! The desk top is partially visible. And there are just a few more odds and ends I have to clean up and decide what to do with. So y’all have to keep after me to make sure I cross the finish line on this job. If I do, I’ll share pictures in which you can actually see the floor!!! and we’ll have some sort of fun and fabulous party to celebrate! There will most likely be chocolate and presents involved, so it’s in all of our best interest if I get this done! Speaking of chocolate, it’s supposed to be 92 degrees today, so I’m thinking we’d like something frosty and delightful. 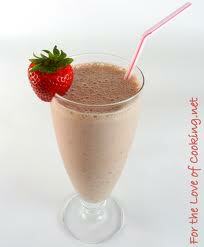 Shall we have chocolate milkshake this morning? Now, while you are sipping that delicious, chocolatey, ice-cold yumminess, let’s have a look at this month’s Straight From The Editor. This looks exciting. A couple of things that might help it, though . . .
Where did the curse come from? Right now, it seems a torrent of curses could be coming from a person—as in swears. It’s a tad unclear. Also, unravel a series of clues to what? To mend the scepter? If so, I’d clarify it this way and rather than structure it as a question, I’d make it more declarative like: Ollie and his buddies accidentally unleash a torrent of curses (from what—an antique scepter from the museum—displayed in the library?). Racing against time, the boys must use their wits and imagination to unravel a series of twisted clues in order to mend the shattered scepter and restore the balance of nature—or they will be cursed forever! As always, many thanks to Erin for her very helpful insights. I always feel we learn something valuable! We do a lot of fishing, exploring and outdoor fun! The Pitch: What’s a bee to do? Basil’s daily chore is to collect pollen and nectar, but he never seems to collect enough. His Mom thinks it’s because he plays too much, but Basil knows it’s because of Mrs. Grady’s rotten cat. One day while Basil is in the garden collecting his pollen and nectar a new hairy beast shows up! Basil must think up a great idea to outsmart this new beast so he can finally fill his bucket to the tippy top. Kathy is looking forward to your thoughts on her pitch! I am looking forward to Friday and the return of Perfect Picture Books, which I will be starting out with a bang and a special surprise give-away that you will NOT want to miss!!! So mark your calendars! Thanks, Stacy! You're sweet to keep up! 🙂 I hope you've been enjoying the end of summer and doing lots of fun stuff! Thanks so much for your comments for Kathy! Now I'm off to digest all this information and hopefully my brain will process it in the right direction! Hey Susanna! Good job cleaning your office. You are ahead of me for sure. 😉 Kathy, I like your pitch a lot. I think Basil is a darling name for a bee. So cute! I would recommend tightening the pitch to focus on the central problem. Right now you tell us (at least) three problems: trouble with his mother, trouble with the cat, and trouble with the new (undefined) beast. It's a little too much mystery for me. I want to know who and what to cheer for in a pitch. But this sounds like a wonderful story, and I would definitely keep reading. All the best!